What’s new on St. Barth? 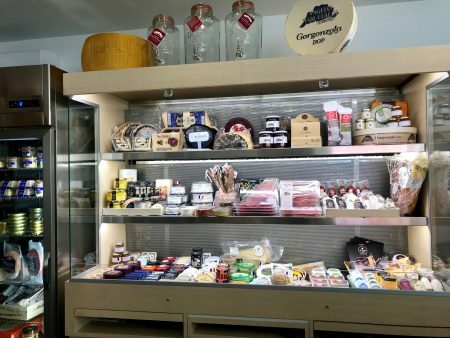 Some recent openings for you to try. Winter in St. Barth passed by so quickly. The weather was perfect, the island was hopping and the ambience as wonderful as ever. 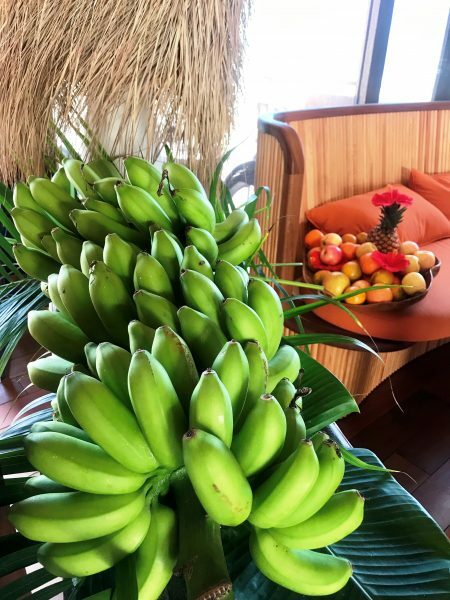 I am fortunate to be able to spend so much time here and thought I should share some of the new things that I have recently discovered on St. Barth. 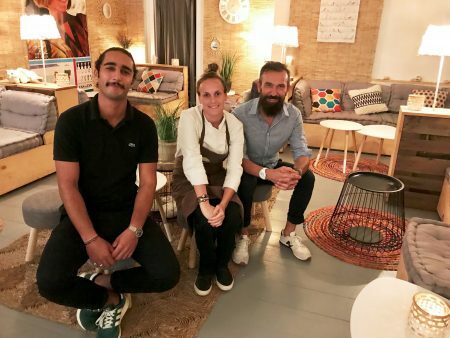 Barts Food Lounge is located on the cobblestone street in Gustavia and has a new concept for the off-season. 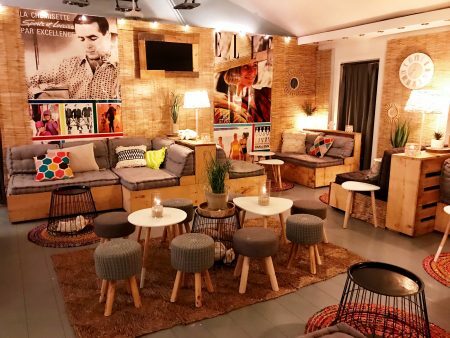 They converted the Victoire boutique into a lovely lounge area with a fully stocked bar and a cute little room with board games for you to play. Barts Food Lounge has a room with board games. The indoor seating at Barts Food Lounge is perfect for casual evenings. 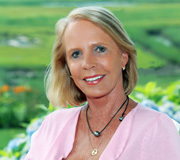 The evening menu is strictly limited to a variety of delicious risotto dishes delectably created by chef Angelique Schnepp. One small portion of the risotto with chicken and curry at 10 euros was so enjoyable and enough for me. My husband ordered two small portions, the black risotto with scallops and squid (12 euros) followed by a second risotto with shrimp. He loved them both. 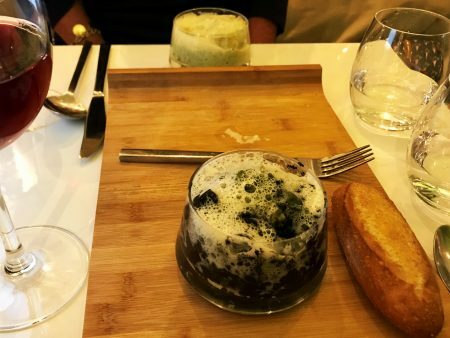 If you choose to order the large portion, the prices range from 20 to 24 euros. For lunch, they offer salads, a wrap, pasta and a burger. 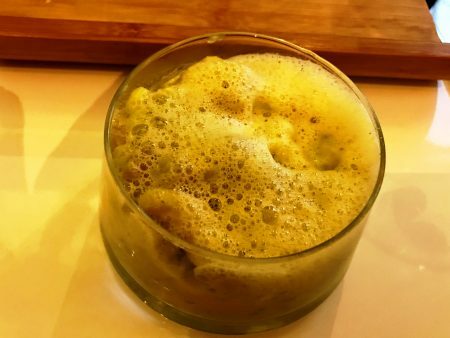 If you are lucky enough to be going to St. Barth in the off-season, you will be glad that you tried it. Closed on Sundays. Connie Walsh and her husband Mike came down to see us so that Connie could do some inspections with me and try out new places. (We are both Walshes but not related). We had a site inspection at the 5-Star Manapany hotel in Anse des Cayes. The hotel is part of the B Signature Hotels and Resorts collection and was just awarded the Eco – Resort of The Year by the 2019 Hotel & Lodge Business & Meetings Awards committee. The Manapany is an Eco resort and grows its own fruits and vegetables. The hotel produces its own water and only electric cars are used to get around the 4.2- acre property. No chemicals are used in cleaning and maintenance, only steam and natural products. All hotel towels are made from bamboo, with only natural fibers. The 43 suites are casually designed. Some sit directly on the beach, while others are located up many stairways along the hillside and feature sea views. 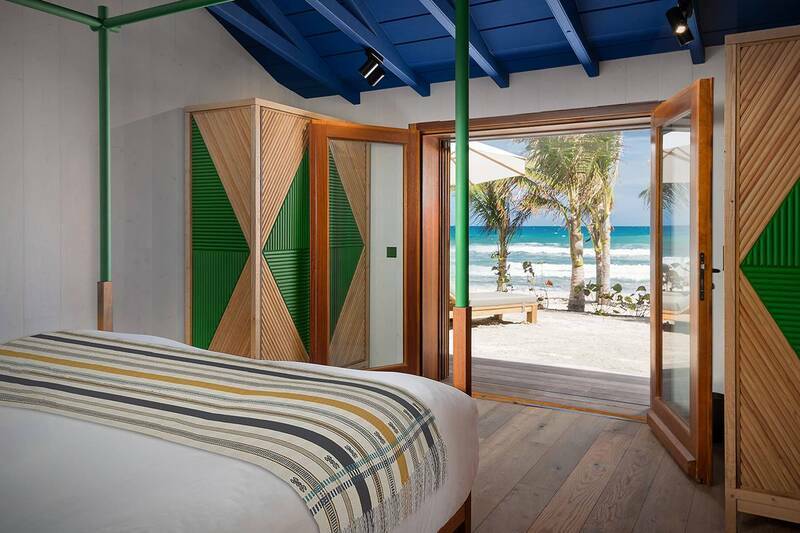 A Beachside Suite at the Manapany. 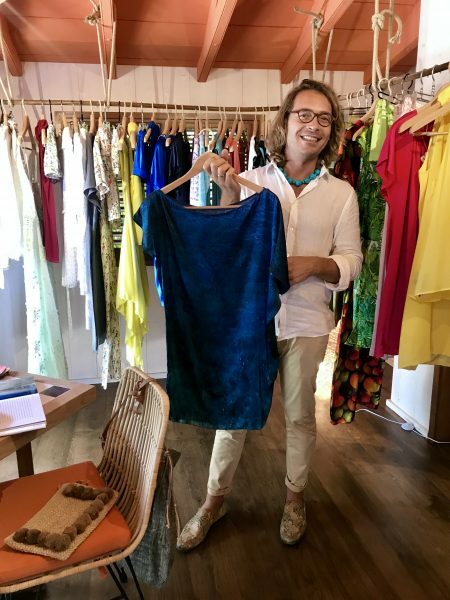 La Boutique, Atelier de Couture, owned by designers Cedric Vernon Fahey and Rodolphe Ayer offers a custom-made collection beautifully hand painted materials. 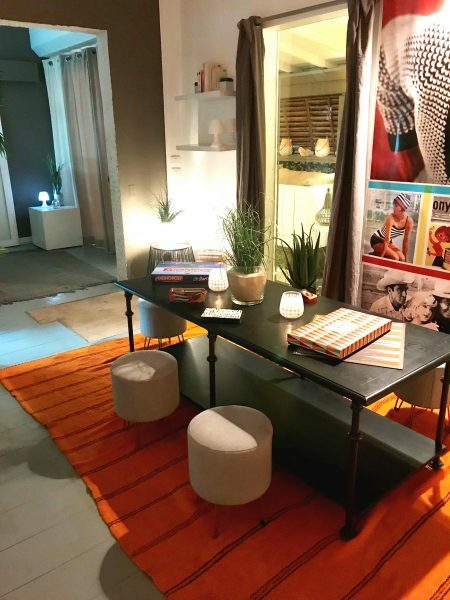 No need to be a hotel guest, just go for your fitting shortly after you arrive in St. Barth and it will be ready for you before your departure. The Atlelier de Coutre boutique at the Manapany offers custom-made clothing. Yoga anyone? The hotel offers morning yoga sessions on a quiet deck overlooking the water every day. The spa, with its adult-only pool, is nearby. 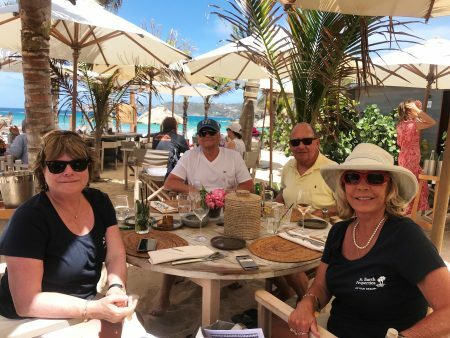 Following our site inspection at the Manapany, our husbands joined Connie and me for a toes in the sand delicious lunch. lil’ Rock Beach Club sits directly on St. Jean Beach and opened just time for the 2019 Bucket, too. 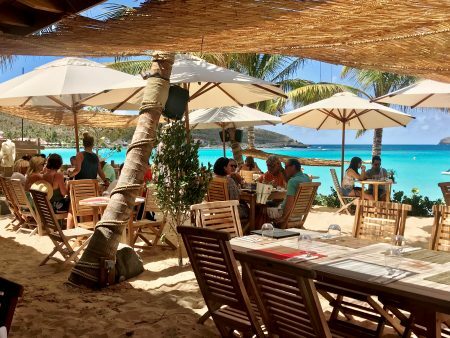 Located several feet away from Pearl Beach restaurant and bar, they have tables under palm trees as well as a few tables under a roof and further away from the beach, but they give the best shade. The St. Jean Beachfront restaurant lil’ Rock Beach Club features umbrellaed tables in the sand and a wonderful view of the sea. We usually go to St. Jean beach because of the breeze. On Saturdays and Sundays, the beach bar/restaurants are extremely busy, and the entertainment can be quite loud, so we decided to try li” Rock on a Monday. They offer valet parking, but you can also park at the public lot and walk up the beach or the sidewalk. When we walked in, one of my favorite singers, Soley was there and singing softly – how refreshing! The menu is varied, and they offer Tapas from 3:30 to 5:30. So far, they are only open for lunch. 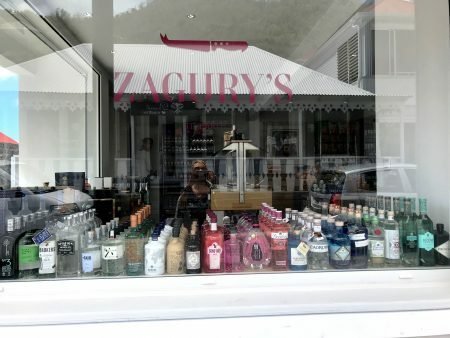 Repeat visitors to St. Barth know that there aren’t many stores that sell liquor. There are plenty of wine stores (it’s a French island, after all), but most do not carry much liquor, if any. I wondered what was being built on an empty lot that is on the upper road that leads out of Gustavia. More boutiques? No, it’s Zagury’s, a liquor store and then some. Owned by the American Store on the block below, it just opened, so we went in to investigate. Do you like to entertain at home or enjoy cocktails and munchies before heading out to dinner? 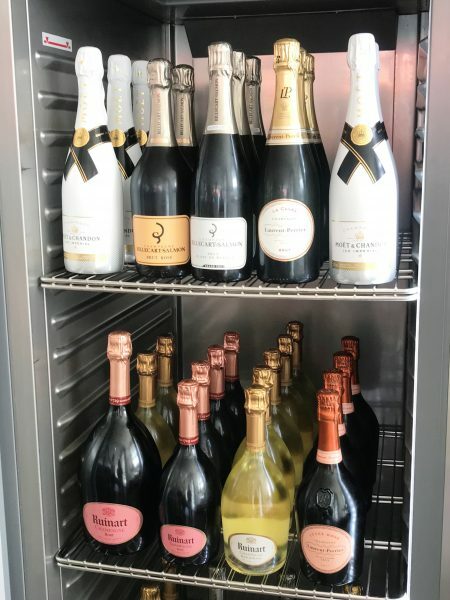 Just stop by Zagury’s and choose your libation, wine and/or Champagne. It is a nice addition to the St. Barth scene. 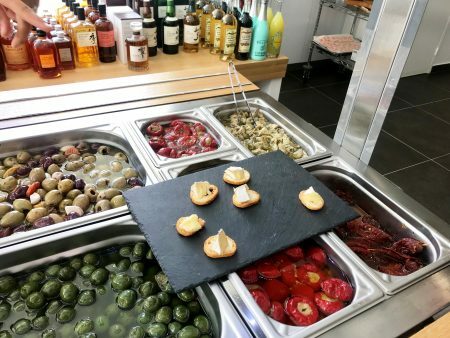 Try the olive bar and other delicacies at Zagury’s. In addition to liquor, Zagurys’ has a wonderful selection of Champagne. I’ll have some other interesting news in my next blog.